Many of you already know what price per polyp means. Some of you may not and I would like to take a second to explain the meaning of it and why some zoas are priced per polyp. I will use zoa and paly (zoanthid/palythoa) interchangeably throughout this as it applies to both. Priced per polyp simply refers to the pricing of a zoanthid or palythoa for one individual head or polyp. 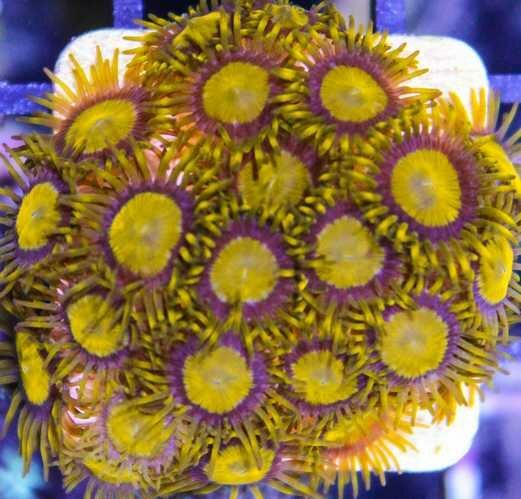 If you find a zoa priced at $40 /pp (per polyp) it means that for $40 you will receive only a single head of this variety of zoa. Now you may be thinking holy $%^$ Fragbox, are you guys on drugs? You want how much for one head? One measly little head ? You’re joking right? 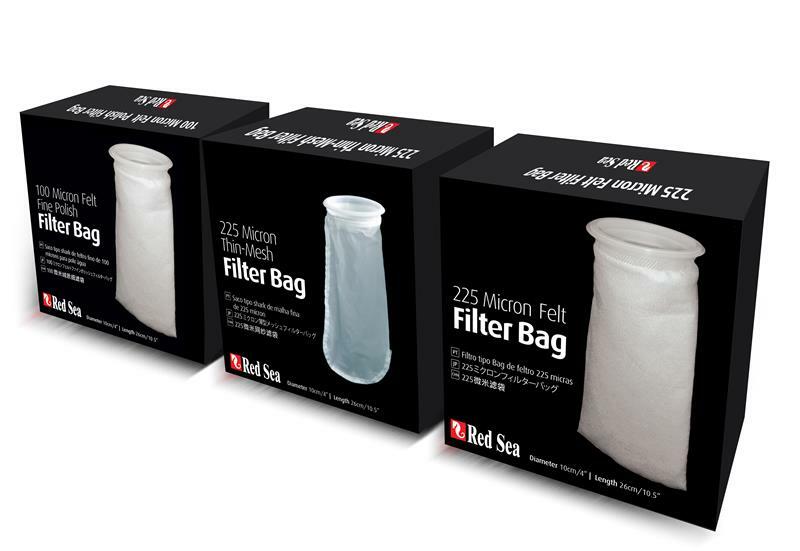 Many of you already purchase zoas this way and it may not come as a surprise. Many in the hobby have come to accept this as the norm. But for newcomers or those who are unaware of the changing marketplace for corals or zoas, I would like to explain how the pricing per polyp works a little further. The first thing I tell customers is to try not to picture yourself paying $40 for one head. I know it sounds silly, it’s counter-intuitive and it’s exactly what you are doing. I ask customers to envision a colony of these. It takes a little creativity but this hobby rewards only those that are in it for the long run. 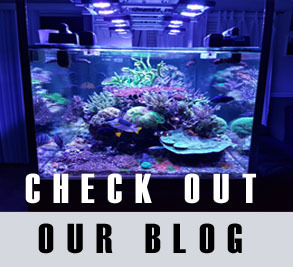 You have to remember reefing is a long term commitment and those amazing zoa- and acro-filled tanks you see on YouTube and reefcentral did not happen overnight. They took persistence and patience. 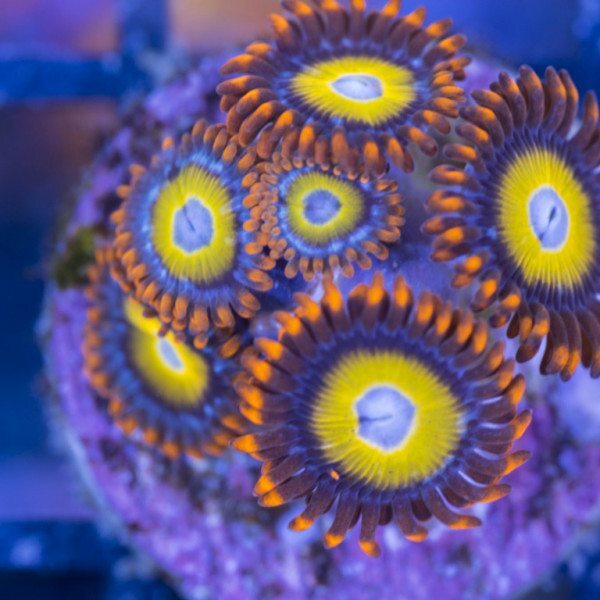 The first step in understanding or rationalizing the price of the zoas is to look past the single head and envision a colony. We have colonies of almost all of the per polyp zoas we sell in order to showcase what they will look like in the near future. Zoas grow fast. It’s not uncommon for that single head to double in size every 3-4 weeks. You may just be buying one head initially, but in the next few months you can easily have over 20 heads. Those 20 can then exponentially grow into 100 heads. Now you have 100 heads for only $40. Doesn’t sound so bad any more, does it? Sure you had to wait but that is what this hobby is all about, patience. Nothing good comes fast. Only the bad comes fast. If you have ever crashed a tank you know what I mean and if you have not, trust me, you will learn. Growing corals, for me at least, is where I find the most enjoyment. It’s where I feel that I have actually accomplished something. You go out and buy a rock full of zoas, that’s great, but what have you accomplished? Where is the satisfaction in that? The only thing you have accomplished is spending $100 or more. I look at coral keeping more as a farming practice than anything. I often refer to our zoa collection as a farm because, in the literal sense, this is what we are doing. Try to think of that single zoa polyp as a seed. A seed you will plant in your tank to grow into something beautiful in the future. If you plant enough seeds and take care of them, eventually you will have a beautiful garden. These single polyp zoas are often referred to as designer or collector zoas. This is because people devote whole tanks to simply collecting the different morphs. There are literally unlimited variations and every year new ones are being discovered. Of course there are the classics like nuclear death, candy apple red and rastas that all true zoa collectors have in their collections. But the constant discovery of new ones is what keeps it exciting. Zoas are some of my favourite corals, they always have been and for a number of good reasons. They are super hardy, easy to keep, easy to grow and simple to frag. They strive in a variety of lighting and flow conditions. They are relatively inexpensive, colorful and bright. They are completely photosynthetic but will respond to a variety of foods. And what’s more, they are friendly! They don’t sting each other like other corals do and they don’t other corals. You can’t really ask for much more from a coral. 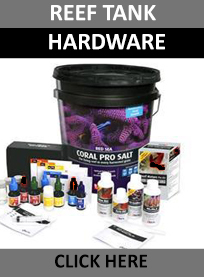 They are great for beginners or advanced aquarium keepers and are awesome at adding splashes of color in unique and challenging parts of the tank you would normally be able to place a coral. Many reefers consider them just filler corals, used to fill spaces in the rocks with something colorful. I on the other hand have become obsessed with them and have always been drawn to them in a strange way. Collecting stuff is fun and they are really no different than collecting coins, stamps or card. Now back to the pricing and trying to convince you that they are worth it 😉 What many people don’t know is how drastically the entire coral market on our end has changed. 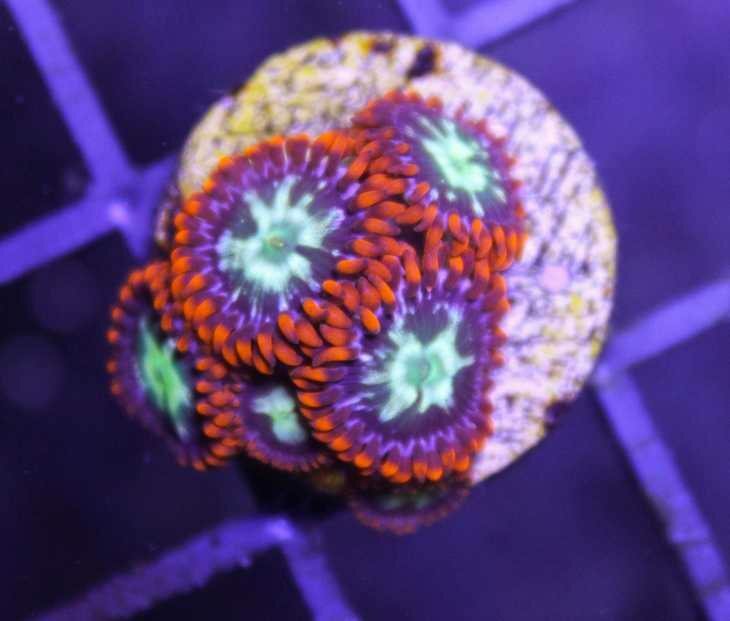 It’s easy to see the increase in coral pricing especially zoas throughout the years from a hobbyists point of view. On the commercial end of things, wholesalers have begun to wholesale single polyps of zoas to us the retailers. The hobbyists have created the demand and the wholesalers have begun to meet it. Many of the zoas we resell are now coming as single polyps from our suppliers so we are in a sense forced to sell what our wholesalers sell to us. Back in the day zoa rocks use to come in all the time, I mean huge rocks simply covered with unique zoas. With dwindling coral populations in the wild these are becoming more rare and less available. From a sustainable stand point farming zoas today is the right thing to do. The last thing the oceans need are more people harvesting. So by purchasing single polyps that have been growing in aquariums you are also supporting the sustainability of this great hobby. Almost all the zoas we have in our collection today ( which happens to be one of the largest retail available collection – pat on back) we have grown from single polyps over the years. We didn’t just buy a colony of king midas or fruit loops we grew them out the same way you can! Finally the zoas with very high prices are priced high for a reason. They are incredibly rare or simply incredible. You can’t discount quality and the old saying you get what you pay for couldn’t apply more here. 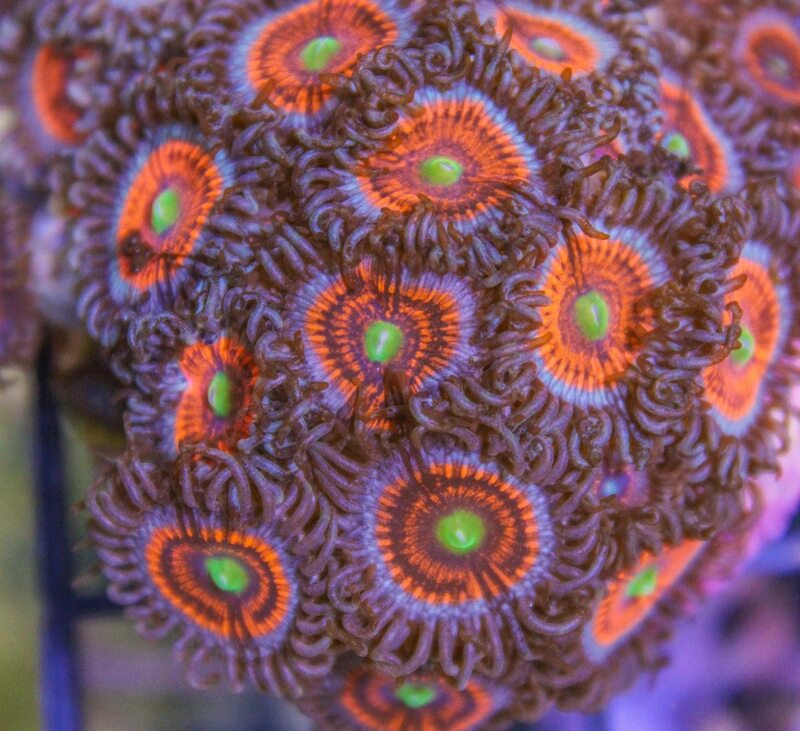 The patterns and vibrance of the zoa are often reflected in the price. Some may feel it is ripoff when you pay $75 for a single head of orange rainbow but I can assure you will get your monies worth down the line when you have many heads and a colony that everyone is drawn to. This hobby is strange. It’s one of the only hobbies I can think off that you have to make an investment today that will pay off in the future. The vast majority of hobbies that exist, you go out and buy something and then generally experience instant gratification. You’re not waiting 3-4 months before you can truly appreciate your purchase. It’s what makes this hobby unique, at times frustrating and may seem like complete madness, but so satisfying by the same token. 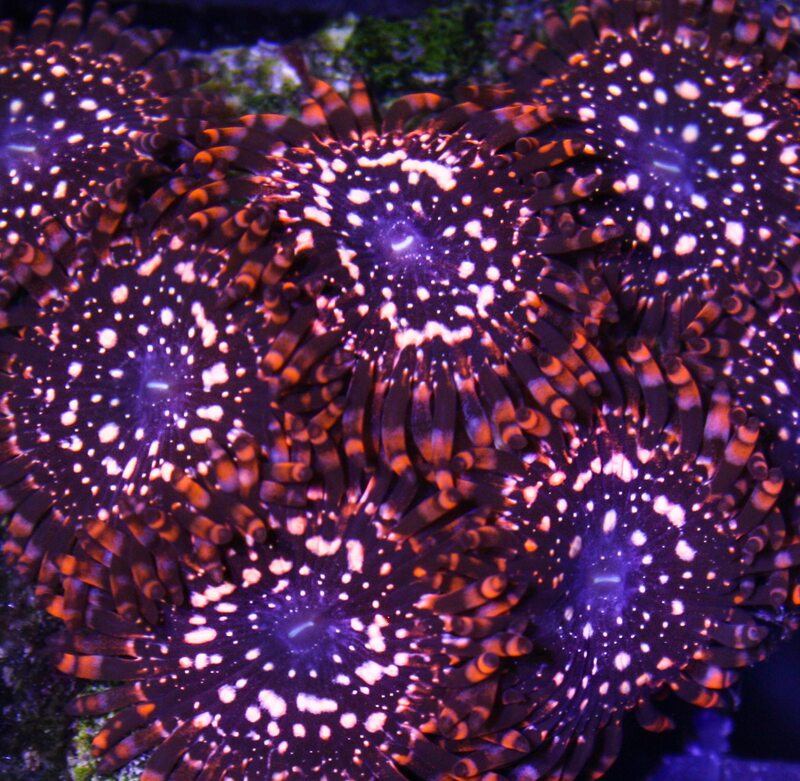 Hope that we have shed some light on the zoa game and why some are priced the way they are. As always feel free to comment or contact regarding anything and everything salt water tank related.